(by Hong Kong’s South China Morning Post) – A school in eastern China has installed cameras to monitor pupils’ facial expressions and attentiveness in class, an online news website, Sina News, has reported. 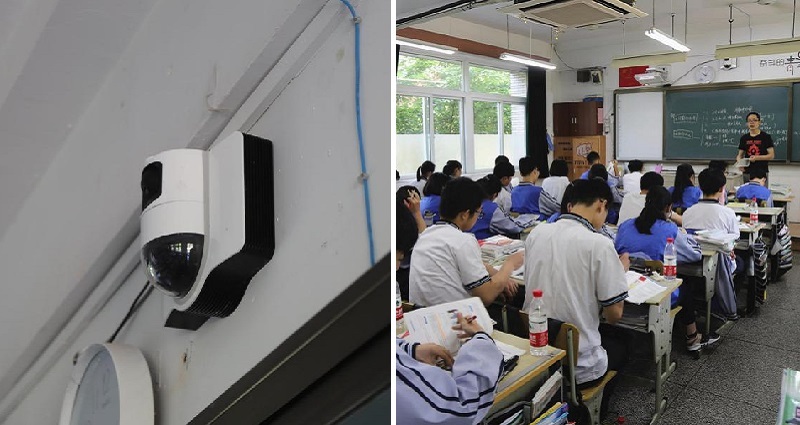 A series of photos published on SinaNews on Wednesday, May 16, show three cameras installed on top of the blackboard at the 11th middle school in Hangzhou, capital of the eastern province of Zhejiang, to capture their behavior. 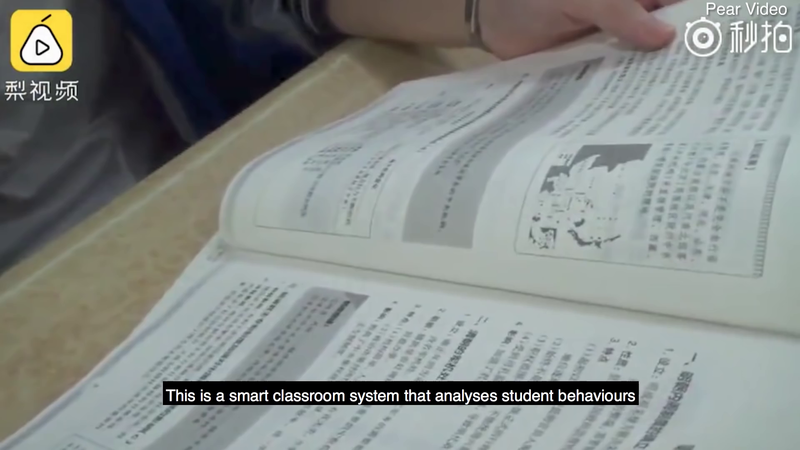 The cameras, which the report described as “teaching assistants,” are part of the school’s “Smart Classroom Behaviour Management System” to give teachers real-time information on their students. The school said it could use the cameras to analyze pupils’ facial expressions to determine whether they were enjoying lessons and whether they were paying attention. 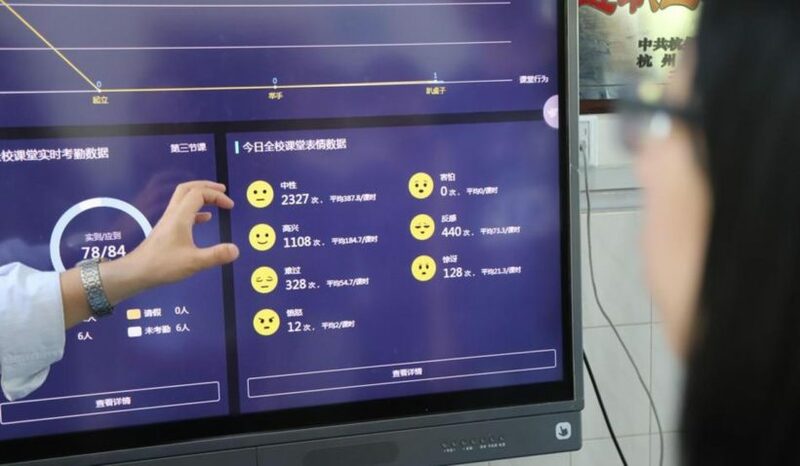 “Using this system we can see which classmates are concentrating in class and whose mind is wandering,” the school’s head teacher, Ni Ziyuan, was quoted as saying. The system will be able to tell if students are reading or listening — or napping at their desks. It can detect expressions like happiness, repulsion, fear, anger and confusion. The system was devised by Hikvision Digital Technology, one of the world’s biggest suppliers of security cameras and which is developing its own AI technology. The surveillance system also measures levels of attendance by using a database of pupils’ faces and names to check who is in the classroom. The technology will also be used to keep an eye on the teachers and the school argued it could help improve their classroom technique. “This kind of system is supervising both the students’ learning, and the teachers’ teaching,” vice principal Zhang Guanqun was quoted as saying. The Sina News report claimed the methods are having the desired effect. The unnamed student added he felt everyone’s concentration had improved, the report stated. China has been spearheading the use of cameras to monitor its population since 2015, when the Ministry of Public Security launched a project to build the world’s most powerful facial recognition system. Its goal was to identify any of the country’s citizens within three seconds, by matching someone’s face with their ID photo. So far the technology has been used to catch unlicensed drivers in the southern tech hub of Shenzhen, jaywalkers in Shanghai and criminal suspects at a variety of public events ranging from beer festivals to pop concerts. Published at Hong Kong’s South China Morning Post (scmp.com) on May 16, with excerpts from a May 18 Reuters article. 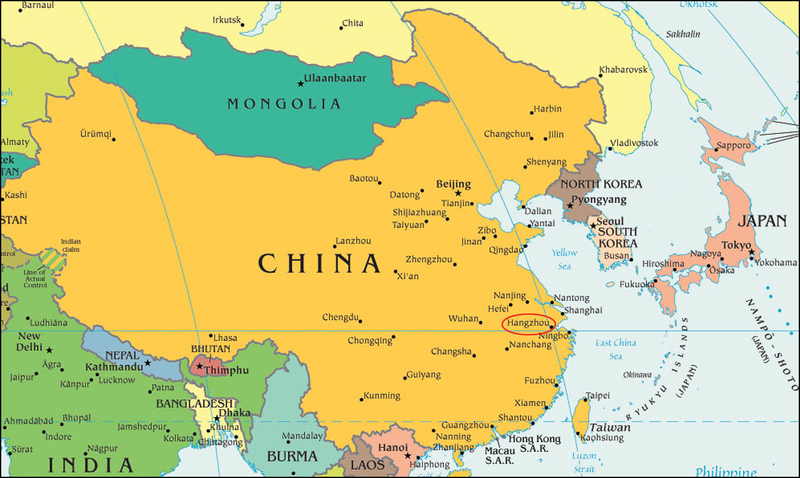 b) What is the purpose for the 3 cameras monitoring students in class at a high school in China? c) What can the cameras detect? d) For what other purposes will the classroom cameras be used? e) What did an unnamed student say about the cameras monitoring him and his classmates? Why can’t we know for certain if he really believes this? f) “Students will get a real-time attentiveness score, which will be shown to their teacher on a screen.” What is your reaction to this?